In qtracker, go to Add Games and add Quake III Arena. If you don't have the game, point it to KingpinQ3-32.exe. Rightclick Quake III Arena and select New->Folder. 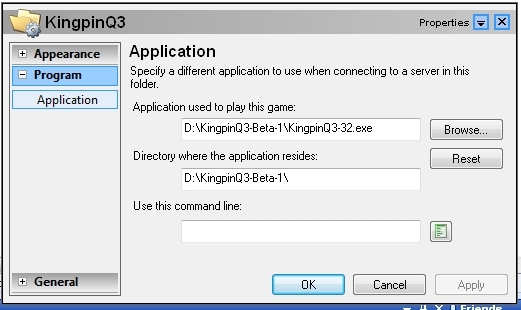 Add a folder named sth like "KingpinQ3". 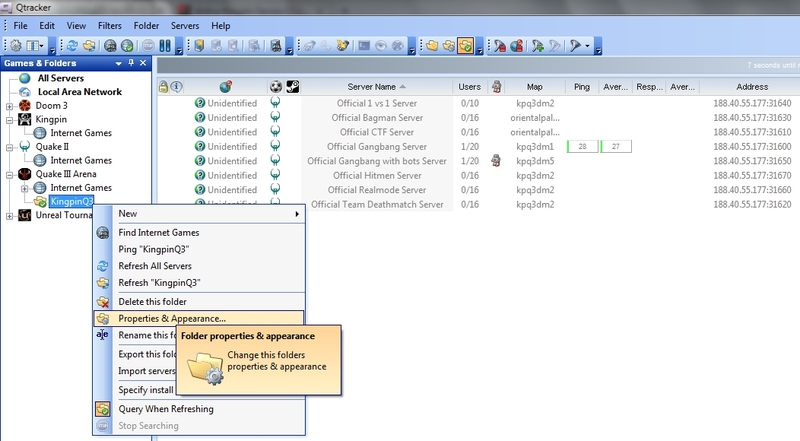 Rightclick the folder and select New->Server. Repeat the same for ports 31610, 31620, 31630, 31640, 31650, 31660, 31670. You should be able to connect to the servers now. Dieser Beitrag wurde von MH am 12.01.2015, 10:00 Uhr editiert. 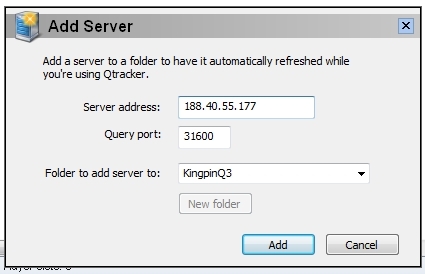 When you have set the KingpinQ3 servers set up as described above in qtracker, you should be able to connect by clicking the q icon next to the server. Dieser Beitrag wurde von MH am 03.02.2015, 13:26 Uhr editiert.